When outsiders think of Seattle, the Space Needle typically comes to mind. That 605-foot structure was once the tallest landmark west of the Mississippi. Probably the next image evoked would be the upper class in the Seattle - Tacoma area who spends their days having lively debates at local coffee houses. Although both images ring true, there are other sides of the Seattle - Tacoma area that don't get as much publicity: the growing poverty rates, the influx of people moving there from outside the United States and the rising cost of college that prohibits many students from being able to afford transportation. The greatest growth of people who live in poverty has occurred in the suburbs of Seattle. From 2000 to 2011, poverty in these areas grew by a shocking 79 percent, according to The Daily, a publication of the University of Washington. Poverty also grew an appalling 31 percent during those years in the City of Seattle and in Tacoma. And these numbers, unfortunately, continue to rise. Seattle is a popular area for migrants who come from a variety of areas around the world. In 2013, more than 500 people who represented over 80 countries were sworn in as U.S. citizens at the Seattle Center. The state of Washington has more than 20 colleges and universities; yet, college kids have it tough. The average student loan debt, of which two-thirds of college students rack up, currently averages around $28,000, according to USA Today. When people enter poverty, are making their way in a new country, or are just graduating from college, they might have low credit scores or no credit history at all. It's often believed that you typically can't get loans, including auto loans, with bad credit. And with no car, it's difficult to get to work. It might seem like a hopeless situation, but there are ways out. At Auto Credit Express, we have been helping people with bad credit to get car loans and break these vicious cycles for over two decades. 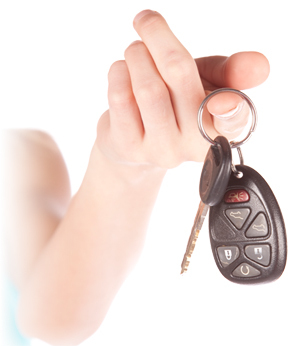 We have special programs that make poor credit auto financing possible and easy. Just make sure that with whatever program you go with to get into a car, you keep up with your agreed-on payment schedule. Otherwise, your car could be repossessed, and your credit could be further damaged. Having a vehicle can help you get to work on time, get the kids to school, and run all of your errands, but unless you're wealthy or have money saved up, there's a good chance that you will need to take out a loan. If you have bad credit, you might be worried about being approved, but you no longer have to have those worries. We work with lenders that specialize in what's called a bad credit auto loan, or a subprime auto loan, with terms you can afford. The lenders we work with are more lenient than conventional auto finance companies, and they understand that good people can end up in unfortunate situations. They're willing to give you a second chance to rebuild your credit scores. So, don't give up on the thought of owning a car because you can with Auto Credit Express. If you had to file bankruptcy, the last thing you probably want to think about is taking out a loan. However, if you need a car to get to work, to school, or to take the kids around, there really is no avoiding getting a bankruptcy car loan in Seattle. Even with a bankruptcy on your record you can get auto financing through a subprime lender in our network. These lenders approve loans to people with bad credit because of bankruptcy, repossession, or missed/late payments. The difference between this type of lender and a traditional one is that the interest rate you pay for the loan is typically higher, about 6 percent more on average. 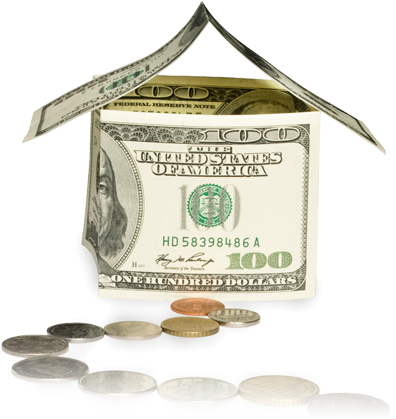 Some lenders may also require you to get a friend or relative with good credit to co-sign on the loan with you. Average Miles: 84 299 are for sale right now! Average Miles: 19 229 are for sale right now! Average Miles: 2955 169 are for sale right now! Average Miles: 37 148 are for sale right now! Average Miles: 0 126 are for sale right now! Average Miles: 21 99 are for sale right now! Average Miles: 34677 87 are for sale right now! Average Miles: 36821 87 are for sale right now! Average Miles: 14989 75 are for sale right now! Average Miles: 19487 72 are for sale right now! BHPH car dealerships typically don't care about your credit scores or what your credit report shows. They offer guaranteed auto loan approval to consumers based on their source of income, how long they have been at their job, and how long they have lived at their residence. Once they have found out how much you can afford, they show you the cars they have on the lot that fit your budget. You finance through them, and you typically make payments weekly or bi-weekly, depending on your pay schedule at work. And you pay these installments by coming down to the lot, which makes the buy here pay here name quite literal. Rent-to-own (RTO) car lots work in the same manner as any rent-to-own store would. Once you find a dealership that offers the program, you shop for a car you like, typically pay a down payment and then pay rental fees, usually weekly or bi-weekly. What's different from simply renting a car from Hertz or Avis is that the rental payments you make through a rent-to-own deal go toward buying the car. And unlike leasing a car from a traditional dealership, rent-to-own lots don't usually pull your credit report. In addition, you can typically only lease a new car, and rent-to-own lots offer more affordable used models. Many RTO Lots who approve auto loans install a GPS tracking device in the car, called LoJack. That way, the dealer can locate the vehicle if the buyer defaults on the loan. Some dealers might even try to get you to pay for the device. Before you agree, check on the current law in Washington to determine whether or not a dealer can do that legally. Another device many of these rent-to-own cars come with is an automatic shut-off device. After the RTO dealer has located the vehicle using LoJack, they will then disable the car with the shut-off device so you can no longer drive it. The only way to get the vehicle back on is to go the dealership and pay your weekly or bi-weekly payment. The dealer will then give you a code to type into your car that will enable it to start. Remember that as long as you stay current with your payments, you should never have to worry about the devices used in your vehicle. In-house financing is similar to BHPH deals. Here, you finance the loan directly with the auto dealership instead of obtaining a loan from your bank or credit union. And there are upsides to doing this. You enjoy the convenience of one-stop shopping, and dealers who finance the deal are usually more willing to work with bad credit borrowers than banks and credit unions. Some people are leery of sitting down with a fast-talking car salesman whom they believe will rip them off. However, it's in the dealer's interest to get you in a car you like and that you can afford to make payments on. If you have an idea of what the car you like should cost, you'll know whether or not you've struck a good deal. Tote the Note dealerships are another name for BHPH lots. They work the same way: the dealer finances the car, and you pay the dealer. This scenario differs from typical in-house financing where the dealership generally offers you a loan through a third party, such as a bank. With tote the note locations, as with BHPH lots, you are more likely to be approved for a loan with poor or no credit because the dealer has more flexibility. You should note, however, that with tote the note, as with most loans for subprime borrowers, you will likely pay higher interest rates. However, if you're in need of a car, these places perform a valuable service. Here at Auto Credit Express, we work with all types of dealers that are able to help you obtain a car loan regardless of your credit score. Since 1999, we have been helping Seattle - Tacoma, and the rest of Washington's residents get into vehicles they can afford without hassle. So, even if you are considered to be living below the poverty level, you're a new American citizen, or a recent college graduate, we probably have a lender willing to work to get you approved for auto financing. Get started by filling out our fast, simple, and secure online loan request form and you could be driving away in your new or used car, truck, or SUV today!